Selecting the right Kaanapali plumber can be a big decision to make, especially if you need a big job done. While not always something you think about, the plumbing systems in your Kaanapali home are important to your family's comfort, safety, and health. Just like with any other important service, you'll want to hire a qualified, full-time professional Kaanapali plumber and not just a "handyman" that does this type of work on the side. 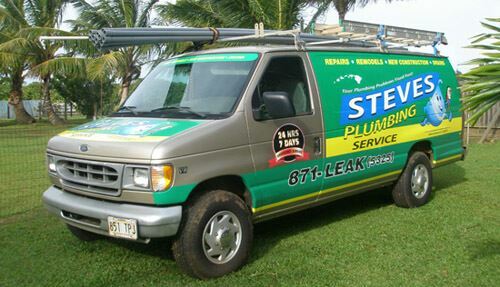 At Steve's Plumbing, we are dedicated to providing every Kaanapali homeowner with the best in service and products, to ensure that your plumbing system is working correctly. So if you are looking for a professional plumber in Kaanapali, then please call us at 808-871-5325 or complete our online request form.